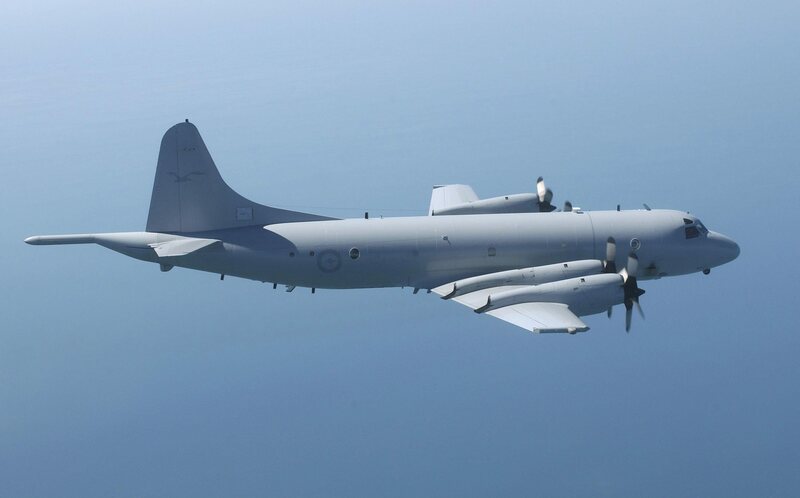 An important element of the Combined Maritime Forces (CMF) is the Air Coordination Element (ACE), a multinational team tasked to coordinate the operations of the Maritime Patrol and Reconnaissance Aircraft (MPRA). The team is lead by Lieutenant Colonel Pete Saunders of the Royal Canadian Air Force. Orion P3 from 92 nd Wing , Royal Australian Air Force. On any given day, the skies above the CMF Joint Operating Area are occupied by myriad fixed and rotary wing aircraft; all participating in coordinated Intelligence, Surveillance and Reconnaissance (ISR) operations. Though they hail from many nations and operate under numerous different command structures in support of a variety of complementary operations; there is a unity of purpose in their actions. Within the network of the various co-ordinating command and control structures, the CMF Air Coordination Element works to ensure the safe, effective and efficient use of all theatre aircraft, through such efforts as the codifying of collectively agreed best practices in the Air Coordination Plan and the production of a Monthly Air Plan. Likewise, the team acts as a central point of contact for flight safety coordination and collection of lessons both observed and learned, providing a means of greater theatre-wide shared awareness of common issues in the Flight Safety realm. Comprised of aviators and liaison officers from the contributing nations and organizations, the ACE team possesses a unique view of air ISR in the CMF AOR.